In 1997 Art and Lee Beltrone salvaged Vietnam era canvases from a decommissioned troopship, the General Nelson M. Walker. The canvases and their graffiti are the main focus of the Marking Time: Voyage to Vietnam exhibit currently on display at the Woodson History Center. On Wednesday, August 27 the Marathon County Historical Society is proud to welcome the 2nd Squadron, 1st Calvary Regiment, all of whom traveled aboard the ship, to the Woodson History Center. The day’s activities include a 1:00 program with a color guard and brief welcome. The veterans are then invited to step to the microphone and share their stories and experiences of traveling aboard the troopship and in the Vietnam War. Joining the program is the exhibit’s co-curator and founder of the Vietnam Graffiti project Art Beltrone. The public is invited to join us in welcoming the veterans at this special gathering. 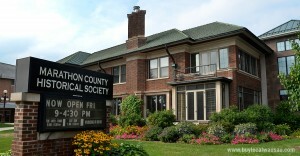 The members of the 2nd Squadron, 1st Calvary Regiment are gathering in Milwaukee for a reunion. 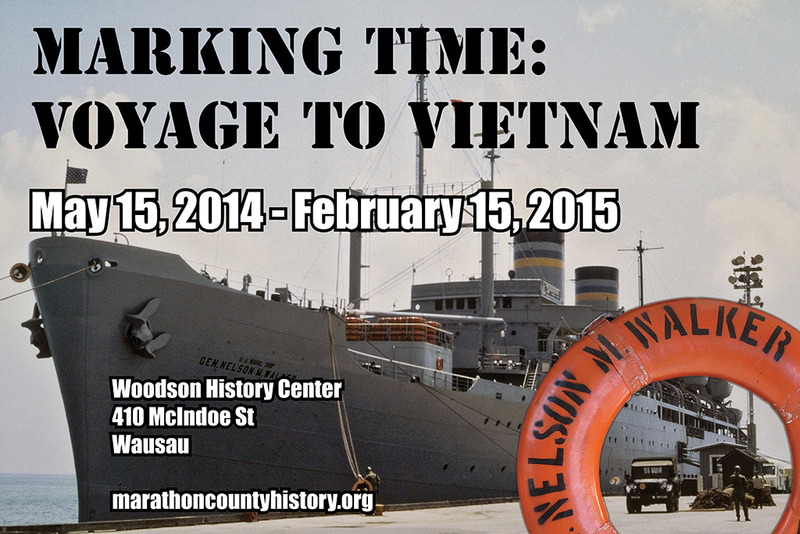 Many members of the unit have added Wausau to their itinerary in order to tour Marking Time: Voyage To Vietnam. For some veterans this will be their first time visiting the nationally touring exhibit. More information about the exhibit can be found at vietnamgraffiti.com.